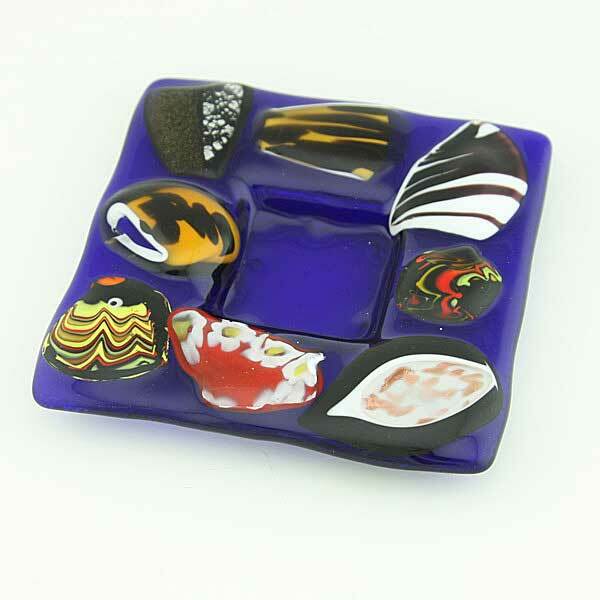 This elegant decorative plate is a trendy spin on the ancient Murano glass-making technique. Rich blue glass is accented with multicolored abstract accents along the edge, which creates a magical play of colors when light penetrates the glass. 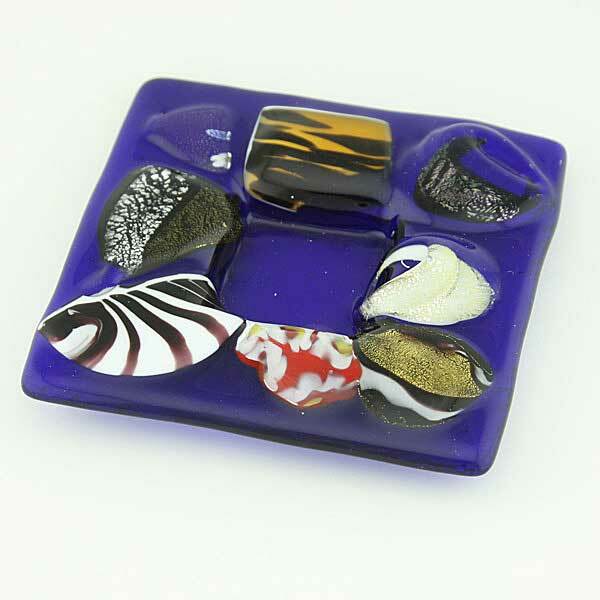 This fine-looking Venetian plate combines contemporary look with artistic Murano Glass tradition and is guaranteed to become the focus of attention in any room of your house. 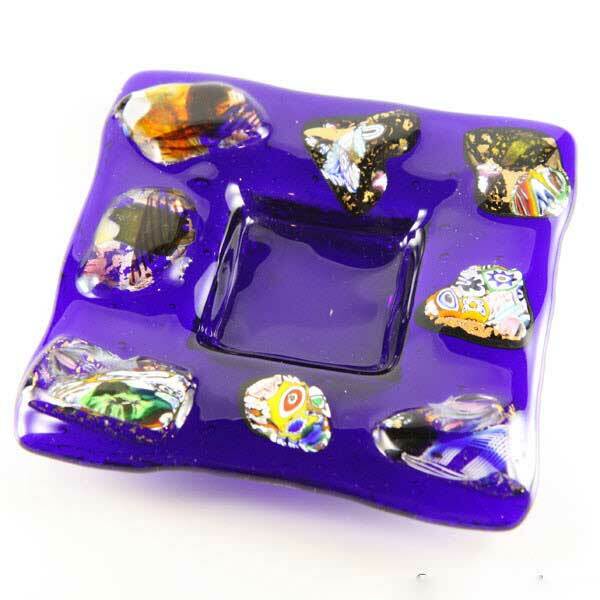 This Murano plate is very versatile - it can be used as a candle holder, as an ashtray, you can showcase it on your dresser or the night stand to hold your jewelry or watch, or simply as a beautiful Venetian touch to your home decor. It also makes a great special occasion gift to the important people in your life. The Venetian plate has a square shape and measures about 3.5 inches on each side. It comes with a certificate of authenticity.